We at Joseph Potashnik and Associates PC provide criminal defense to individual and corporate clients investigated by federal agencies or prosecuted on federal offenses, with a primary focus on white-collar crimes. Here is a list of federal criminal cases lawyers at our New York City firm take on. Federal crimes are particularly hard to defend, because federal agencies conducting investigations preceding criminal prosecution have basically unlimited powers when investigating criminal allegations. However, through defending clients in over 1000 federal investigations and 100 jury trials, our New York federal criminal defense attorneys have gained unrivaled expertise in defense against almost all conceivable federal-level offenses. Federal investigations are carried out by the FBI, the Internal Revenue Service, the Drug Enforcement Agency (DEA), ICE, and other agencies, which rarely work alone and much more often join forces when investigating into a single crime. This ensures the optimal flow of information between the agencies and that not a single detail is left unnoticed. That is what makes such cases extremely hard to defend – a very strong prosecution case. The targeted person is unlikely to find out about the investigation until he or she is approached by the agents. This might happen not only during the arrest, but also in an interview or when served a grand jury subpoena, which is more likely for alleged white collar offenders. 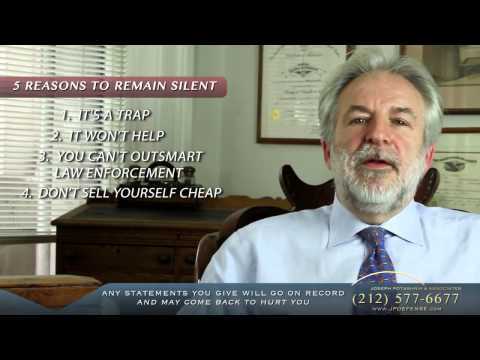 Unlike in the case of arrest, before interviewing you the agents won’t read you the Miranda rights. However, whatever you say in the course of such encounter is admissible in court and thus may be later used against you. So before speaking with the officials, it is in your best interest to contact a federal criminal defense attorney in NYC. After you’ve discussed the case with the attorney, he or she will get back to the investigators, and from that moment on your every communication with the officials will be conducted by the lawyer. An example of such controlled interactions is a proffer. It is an arranged meeting with the investigators and the defendant in the presence of their legal counsel. The agents sign a proffer agreement under which none of the things the defendant will say during this encounter will be used against him or her in trial. However, bear in mind that not all such meetings turn out advantageous for the targeted person, and whether this step should be taken is to be discussed with a lawyer. After the investigation is complete, if there is evidence that the person has perpetrated the crime, court proceedings begin. The first stage of prosecution is arrest. The arrested person is usually taken to court for arraignment, which is the initial appearance of the defendant in court, during which he or she is officially charged with the crime and enters a plea. It is of great importance that right after a person is arrested, their close ones search for a competent federal criminal defense attorney to represent the defendant during NYC arraignments. This will affect whether the person will be released, and if yes, whether bail is required or the person will be released on personal recognizance. The next stage is grand jury proceedings. In most cases the grand jury will hear only from the prosecution side and decide whether the evidence is sufficient to proceed with prosecution. To decide this, the grand jury may issue a subpoena or demand a further investigation. If the grand jury decides that there is enough evidence, then the defendant is indicted, and trial proceedings begin. 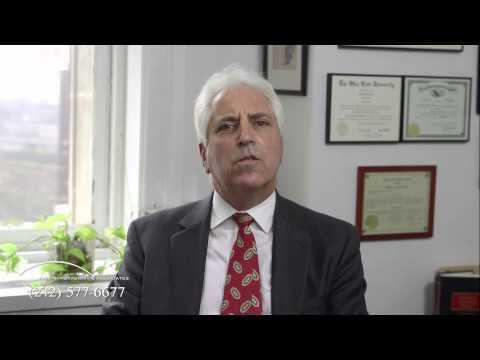 If you are under investigation or have been arrested on federal offenses charges, call criminal lawyers with New York City group Joseph Potashnik and Associates. We will efficiently represent you in criminal investigation, arraignment, and jury trial. If our federal criminal attorneys intervene early enough in the process, we might be able to dismiss the indictment, which will either end the case for good or give us a chance to collect evidence, build an effective defense case and prepare for the prosecution. Our combined experience of over 7 decades of practicing criminal law allows us to reach excellent results when defending our clients, and not only in NYC, but also in New Jersey and across the United States. We know the difference between federal and state criminal justice systems and will explain you its intricacies and together build a strong defense strategy. Certainly, it is not easy, finding the right federal criminal lawyer in New York. You should look for the one who has handled your particular type of cases. So we encourage you to browse our practice categories and the blog section of our website, read up on case studies, look up our reviews and make your choice. We represented an individual in the U.S. District Court, Southern District of New York in a $42 million fraud investigation and prosecution that involved massive Holocaust reparations fraud scheme. We persuaded the U.S. Attorney’s Office to defer prosecution, resulting in the case being closed. Our client was an owner of a Queens real estate agency who was investigated by the FBI for conspiracy to commit bank fraud in a mortgage fraud scheme. Our attorneys convinced the prosecutors not to bring charges against the client. We successfully represented a co-defendant in a $12 million Medicaid Fraud investigation perpetrated by a medical office. Our client was facing a five years prison term but was sentenced to probation, exclusively because of our early intervention. We represented a person who was investigated and later prosecuted in a multi-million mortgage fraud case. Our client was sentenced to time served (one day in custody). Call us at the number provided or submit a filled out form below to set a consultation.